Congratulations on your decision to take the weight loss surgery plunge and improve your life in ways you never thought possible! Patients never leap into weight loss surgery head first, at least not at reputable surgery centers. Medical evaluation: Your physician will help you choose the best surgery for you with an assessment of your current health. With your present state and history as guidelines, you and your surgeon will create a personalized plan specifically tailored to your body and goals. Your medical conditions should be optimized in preparation for surgery. Psychological screening: You can expect many psychosocial changes to accompany your bariatric surgery and subsequent weight loss. Before clearance for surgery, you will meet with Dr Jim Keller, our psychologist who will help you prepare for what’s coming and discuss any prior experiences or mental health concerns that require support. The end goal is to make sure that both your physical and psychological health are addressed before surgery. Consultation with our dietician: What you do and do not put into your body plays a major role in how your body responds to surgery and how you feel, both before and after. 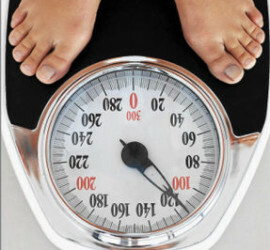 We work with you to determine your level of nutritional knowledge and target any negative behaviors related to eating. Meeting with a dietician will help you to control hunger, eat enough to nourish your body without over feeding, vitamin and mineral supplementation, and conscious, pleasurable eating habits that help you feel satisfied. No matter what your struggle, our dieticians will help you adjust to your new lifestyle and tackle any challenges that come your way. Meeting with our exercise physiologist: A sound exercise program is essential for sustained weight loss. At WeightWise, our aim is to familiarize you with the four pillars of fitness: cardiovascular health, flexibility, and strength training. Each exercise physiology program is individually tailored to optimize the body’s response to new exercises in stages. At your pre-op consultation, you will discuss your short and long term fitness goals as supportive of your overall surgical plan. Sleep evaluation: Sleep apnea, if undiagnosed, can significantly reduce the safety of any weight loss procedure. Unsure whether or not you have it? Untreated Obstructive Sleep Apnea, particularly common in morbidly obese patients, can increase your risk of complications both during and after your procedure. Our goal is threefold: well-prepared patients, safe operations and long-lasting results. These can be accomplished through screenings with our top psychological, dietary, and exercise experts. With our comprehensive approach, we are able to more fully understand your current state of health for a successful surgery and post-op experience. This approach is key to undergoing surgery as safely as possible. Haven’t attended one of our free informational seminars yet? Sign up here.